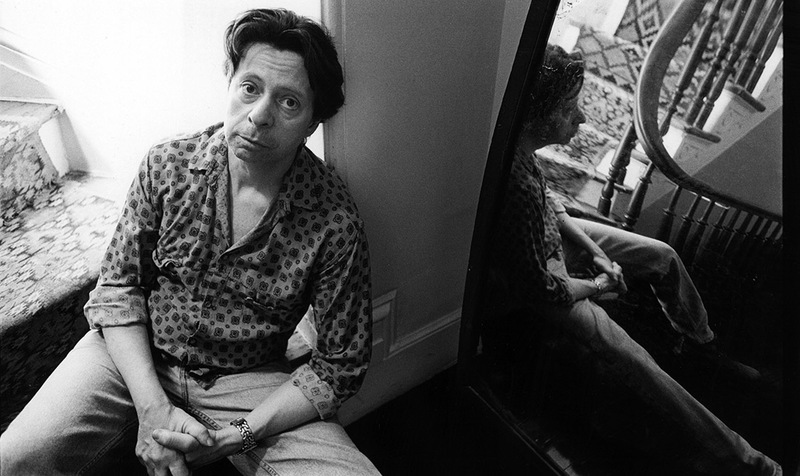 “What do I write about?” the novelist Richard Price asks himself as we push north from his Harlem brownstone in a rented gray Hyundai. “Why would I not wanna live here?” What Price writes about is cops and criminals. And he does so better than anyone alive. He also writes about the Bronx and its native sons, a club to which he belongs, not without pride or complications. Not coincidentally, it’s the Bronx — just a hop over the Third Avenue Bridge from Price’s home — that we are heading to now. The plan is a quick trip through the past. We’re skipping the Parkside housing projects where Price grew up — he’s been back there plenty. We’re going even further back: the old home of his beloved grandmother Pauline Rosenbaum, who’d take him to horror movie triple features and wrestling matches. And then the home of her parents and their brothers and sisters, the Jankolowitzes, Romanian and Russian immigrants who shacked up together, a dozen of them in the building. Three generations spread over three floors. 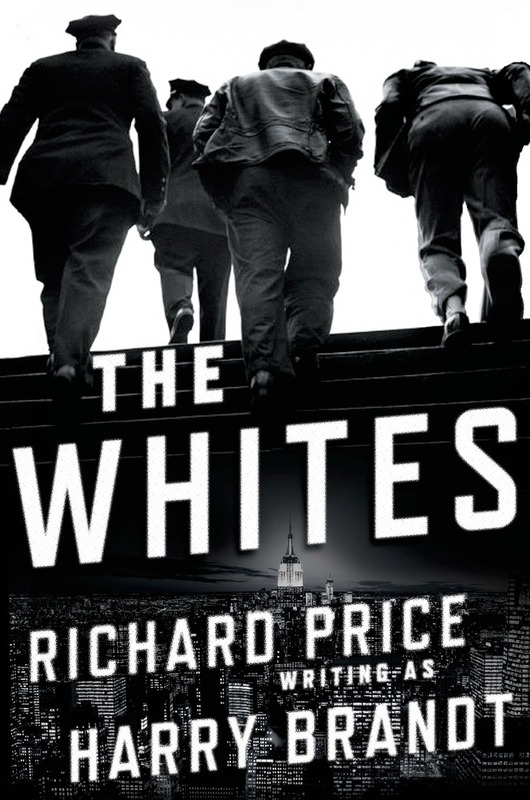 Price says his new novel, The Whites, is “all about people haunted by things of the past.” Today, at least, he’s happily calling out to the old spirits. For the first time in seven years, Price has published a new book. The lag isn’t out of the ordinary: Price famously takes his time between release dates, spending his life engaged in live-action research — you know, hanging out with the police. “I don’t do ride-alongs,” he says. “I just make friends with cops and I drive around with them.” Then he sits down at his desk and unspools his epics of American crime. There are no mobsters in his books, no RICO, no intricate conspiratorial hierarchies pushpinned on a tackboard somewhere and yarned together. Price likes the bottom end. The fresh-faced corner boys in baggy Champion hoodies. The haggard night-shift cops living off garishly branded energy drinks, 24 ounces at a time. The bodega sandwich-counter guys who just got here from Ramadi or San Cristóbal. For their breadth and depth, his books are called “literary crime fiction.” This suggests a disdain for the genre that Price never expresses. In fact, in its original conception, The Whites was straightforward genre fiction. Under a pen name, Harry Brandt — a nod to his first agent, Carl Brandt, who died two years ago — Price had planned on writing a series of more conventional thrillers.1 This was, he readily admits, largely a financially motivated decision: He was trying to get the prime placement on your preferred airport bookstore’s paperback spin rack. Once Price has built a world — typically crumbling, in one fashion or another — he fills in the nooks and crannies. There are stories about the director Terrence Malick hauling off from a day’s planned shoot to chase a butterfly fluttering in a tender ray of sunlight. Price is kind of like that, too, except his butterfly is more likely to be a pet carp — left unattended and overgrown and so now, horrifyingly, unable to turn around in its own tank in an illegal Fujianese flophouse on the Lower East Side. Shut out, Price eventually chose to re-create Vyse Avenue himself. The Whites was inspired by a short crime story Price read in the tabloids about a tragic case of mistaken identity. In his book, he reimagines it as the trigger for a decades-in-the-making disaster. A young girl is sitting on a stoop of a Bronx building. Men with guns approach. They ask where they can find their mark. For reasons that will eventually be explained, but never justified, she gives them the wrong apartment number. The men murder the wrong guy. The young girl grows up and becomes a nurse and a mother and a wife. And her actions have ramifications that haunt her, her cop husband, and her kids. That Bronx stoop, Price explains, is the one at 1522 Vyse. On this visit, Price gets luckier. Out of a pack of kibitzers across the street, a tall man — his blue work coat sporting the word “Porter” in yellow script on the breast — sees us milling around and approaches. Can I help? His name’s Willy, he says. My name’s Richard Price, Richard Price says. He looks around, soaks it in. Can we actually see an apartment, he asks? Willy thinks again. Ah, OK.
“Of course!” she says, waving us in. We walk past a fellow whose hair-braiding session has just been interrupted halfway through the scalp. On the TV, the syndicated daytime talk show host Bill Cunningham is interrogating a young lady named Shanice, who is fighting back tears. A pot of cabbage cooks on the stove. “You want a plate?” Willy cracks. “We West Indian, so we do a lot of that stuff here,” the woman of the house explains. Willy laughs, and Price slips him the bill, grinning. After The Wanderers, Price knocked out a series of Bronx tales: To varying degrees, Bloodbrothers, Ladies’ Man, and The Breaks are all about scrappy young men attempting to make peace with their lives in or away from that looming borough. They’re sharp novels, clever and full of punches. But page to page, you can’t shake the feeling that behind them is a guy who’s been blessed with the ability to open his mouth and crack up the room, and so has never bothered to stop and think before he speaks. The contrast between what was there and what was to come is remarkable. Price was fortunate to have his first two books adapted into movies. By the mid-’80s, he was writing for the movies himself. He adapted Walter Tevis’s The Color of Money for Martin Scorsese, then got to watch prickly ex–pool hustler Paul Newman and young Tom Cruise — in full, glorious toothy-grin mode — do dance numbers with his script. Newman would win the Oscar; Price got a nomination. He scripted Marty’s portion of New York Stories, wrote Sea of Love for Al Pacino, wrote Mad Dog and Glory for Robert De Niro and Bill Murray. He even did the script for the music video for Michael Jackson’s “Bad,” which was directed by Scorsese. He’d go on to write for The Wire, along with crime writers George Pelecanos and Dennis Lehane, the triumvirate at the head of the genre. Next is his own John Turturro–starring HBO miniseries, Crime. Price cameos as a bootleg Viagra salesman who works out of a bathroom. It reminds me of a reading I saw Price give years ago. During the Q&A, an earnest young fan asked what it is that Price got out of writing screenplays. The fan was hoping, presumably, to hear some highfalutin writer talk — how his fiction and screenwriting informed each other and all that. In the early ’90s, Price grew bored with writing about himself. Seeking a different kind of hood story, he traveled across the Hudson to Jersey City, New Jersey. He hung around the drug benches, nervously at first. “I got out of the car and I heard, ‘He’s a cop!’” he told The Believer in 2008. “I thought, Oh, oh. This is it. I have two daughters and I’ve finally gone too far.” Eventually, he found his bearing, his way into the byzantine world. The result was Clockers. Released in 1992, nine years since his last book was published, Clockers announced an almost unrecognizable Richard Price. In the fictional town of Dempsey, New Jersey, with the immaculately intertwined narratives that would become his trademark, Price introduced us to our unlikely heroes. Freedomland and Samaritan, the novels that followed, again plumbed the social stratification and racial fears of his made-up kingdom of Dempsey. Then, in 2008, Price returned to New York City for Lush Life, his late-period masterpiece. In the mid-2000s, the gentrification of the Lower East Side began to fascinate and inspire Price. The same neighborhood that was once the trash- and people-choked bastion for legions of penniless Eastern European Jews, much like his own forefathers, was now where his young daughters went partying on Friday nights? He plotted a murder and kept it simple: A cocksure young white man, fresh to the neighborhood and out on the town in the early hours of the morning, is robbed, shot, and killed. It’s enough to trigger a collapse, bringing the neighborhood’s spheres of influence on top of one another. The vestigial Hasids, the Latino projects kids, the Irish cops grinding it out until pension eligibility, the slick restaurateurs, the Israeli landlords, the new-in-town corn- and coke-fed Iowa kids, the beautiful boys and girls with wonderfully asymmetrical haircuts and world-changing passions and service industry jobs — all vividly, thrillingly present and accounted for. That New York City is a thousand worlds jammed together is not a novel observation. Price’s trick was making us actually feel what that means. In the screaming crime sections of New York City’s tabloids, Price’s characters are given short shrift — name, age, occupation, quote — and flattened. They are blank representations of good or evil. Price imbues them with a little humanity and some benefit of the doubt. They have ex-wives, second jobs, ex-step-siblings, debt, and favors to repay. They’re tragically flawed, but, hey, they’re dealing with a lot right now. Price points out that tragedies like these have occurred regularly for far longer than we’re comfortable admitting, and that they’re the product of a fundamental police mentality. Back in the Hyundai, I try to get Price to discuss the writing process. “My need to write about these mooks kicked into high gear — it was all tied into homesickness and disorientation,” he’d once explained to the Paris Review, quite nicely. “I was writing in the same manner and for the same reason that someone would whistle a tune as they navigated a dark and creepy forest.” This afternoon, though, between the squawking GPS directions and his daughter in the backseat, he’s a little preoccupied. So instead we chat. When we arrive at 502 Concord, Price marches us past it and down to the bodega at the corner. Then he kicks into storytelling gear. He’d been prepping for this one, and he wastes no time in setting the scene. Unfortunately, the pay phone had acquired a new customer. Unfortunately, the troubled paramour was quite accurate in his shot. Unfortunately, he dropped the new caller dead. The detectives go through the victim’s pockets, see he lives at 502 Concord. “In my head I’m going, Why is that address familiar to me?” Price says. He realizes: That’s where the Prices began their life in America. We walk up the street, back to 502. The block is uniformly gray, and the day’s crusted and muddied snowbanks aren’t helping the dour mood. 502 is a skinny four-story building, chipped and nicked. It needs a new paint job. But it is red. A nice splash of color. Price used this for The Whites, too, for another pivotal scene. The little girl from the stoop has grown up and married a cop. The cop is in some trouble that he doesn’t quite understand. He finds himself interrogating a very stoned man who may or may not have been witness to a murder. The cop is trying to figure out who shot a volley of bullets into the trunk of a car. The cop is trying to figure out who was maybe inside the trunk of the car at the time. The stoned man’s apartment is inside the fictional 502 Concord. It’s been a long time since Price has written thinly veiled memoir. But he never stopped using the Bronx. He turned to crime, and it’s kept him as necessary and relevant at 65 as he was at 24. And throughout, a familial weight has continued to weigh heavily.